You can add as many active users as you wish to your CloudSploit account, allowing you to share scan results and resources with your team. 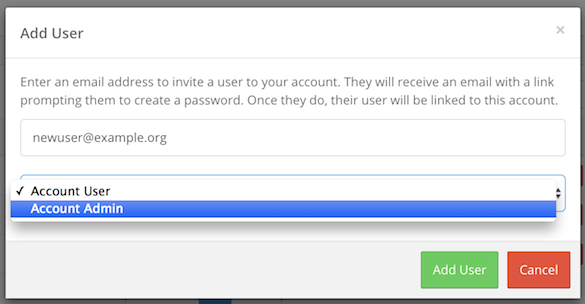 Before adding a new user, you must decide whether you want the user to be an account admin or a standard user. Account admins have access to billing and plan updates, the ability to add or remove users, and the ability to delete the account or its resources. Be sure you fully trust users that will be created as an admin. You must be an account admin to add new users. 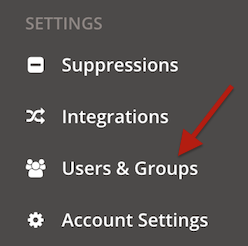 Log into the CloudSploit console and navigate to the Users & Groups" page. Towards the bottom, click "Add User". Enter the user's email address, select their account role, and click create. The user will receive an invite email, which they must use to confirm their account.